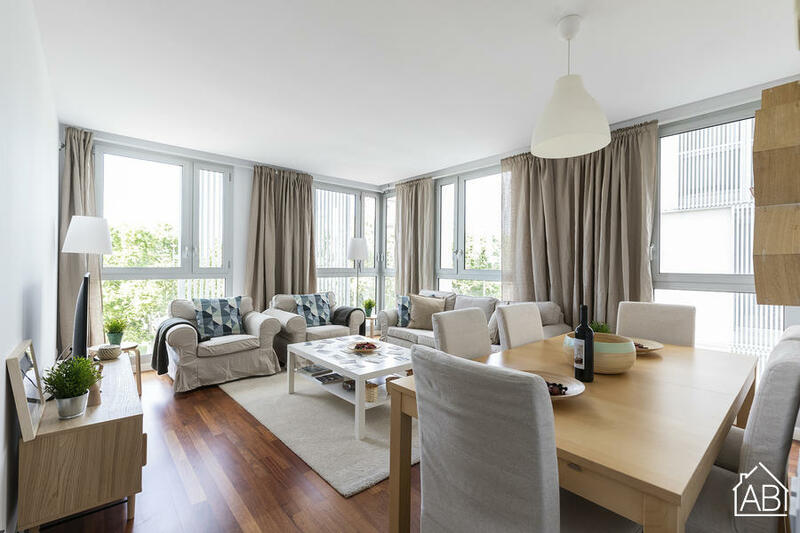 This quaint and modish two bedroom apartment in Barcelona is located in the vibrant neighborhood of Barceloneta. This area of the city offers a beautiful sandy beach, charming shops and is home to some of the best seafood in town! Here you can enjoy a endless choice of bars, restaurants and cafés while remaining only a short walk from the city centre. The master bedroom has one double bed and the other bedroom contains two single beds, meaning this apartment can accommodate up to four people. There are two bathrooms in this residence, both very modern, one with a walk-in shower and the other with a bathtub/shower. The living room is the perfect place to relax and unwind with a TV and ample seating. The modern kitchen is well-equipped with all the appliances needed to create your favorite dishes! This lovely apartment, complete with central heating and air-conditioning, is the perfect residence any time of the year!